Hi, I was directed here from Reddit with some questions since I'm Canadian. Hi, since I'm Canadian it was suggested that I might have better luck with my questions if I posted them here. I'll try to organize them but I am mainly just going to paste what I've already typed out. Sorry that it is a bit long but I don't want to shell out the money for what the MP line goes for without these answers. "Hi, I have a few questions about both the reissues and the MP Collection. Where do you suggest I go to get MP items at the best price while avoiding KO's? Preferably a store that's IN Canada or an Ebay supplier in Canada, or as a last resort, a US place/Ebay user that ships to Canada although between the exchange rate and the duty this is not the best option." I also was looking for answers for these questions. "I still don't have answers to whether I could buy a junker Starscream G1 original and use his smaller (not ridiculously long) missiles with the reissue version. Unless there is a version of the reissue that I can get in Canada that doesn't have the long missiles because of the USA's laws. I hear it's an American thing. 2nd, I still haven't gotten any reply about if the current issued Walmart Constructicon Set still has the error where there is no slot to put the chest piece for Devastator. Apparently if you bought the dump truck separately they must have used a different mold and it DID have the needed slot. I don't know if the current release fixes this issue. 4th, there was already a Megatron release that took after the grey cartoon look with damage and face attachments from the movie. I often see them for $300+ (ouch) I've seen images of a new chrome finish Megatron that is supposed to be coming out soon. It actually looks really sharp. A) Is this a genuine MP or a KO? B) Will it have that orange plug that the US makes them put in some of the figures and if yes, can it be removed without damaging the figure? I'm not sure if Canada has a similar rule or not. I might as well add the question, where in Canada should I pre-order this, unless it is a KO? Lastly, here is a link to a Kajiji add as an example. I picked it because the price was lower but he says it is genuine. He admits that he is using stock photos. I was hoping someone who is really knowledgeable about KO's could look at this one and tell me if they had some guess as to if it is genuine, or a KO, and how I can tell the difference? Here is a more expensive one but it doesn't say if it is a KO or genuine. It does show both the front and back of the box though so I'm not sure if they are stock images or not. Thanks for any help you can offer. These aren't exactly cheap so the last thing I want is a KO. It would be a lot easier if I lived closer to a major city like Toronto." That's it, plus a couple changes. Thanks to anyone who took the time to read that, even if you don't have any advice. I appreciate it! Re: Hi, I was directed here from Reddit with some questions since I'm Canadian. Price from a canadian seller will always look ridiculous since they do all the importing for you. As you can see, they have an MP Cordon for close to $200 plus you have to pay taxes and shipping. That Megatron there will not come with an orange plug. The best thing to do from here on out if you want the cheapest price is to preorder on amazon japan for any MP toy that is not released yet. Like taht you are sure to get the real item (and not a KO) for the cheapest price. You're pretty much at the mercy of the CDN dollar. Just hope our dollar goes back up. I sent you over here, so hopefully you get the answers you need. Or maybe they're under the search function. As someone already mentioned Amazon JP (I have used them before and never had an issue) for newer MP releases is great. Someone like MP Inferno would be C$175 shipped to your door after conversion from JPY, where on eBay they may be C$200 plus another C$20 for shipping. At BBTS he is on sale, but with shipping and the Customs charge I always get from them, it's still more than Amazon JP. For eBay, I have used US, JP and HK sellers (toyspark, animeking_inc, iamratchet, etc) before without issue but I always compare the prices between them and the big online US retailers like BBTS, etc. I have never bought MP from Canadian online retailers due to their markup. 1) I only have the original G1 SS, so I'm not sure if the new launchers only hold the new missiles. Or if they can hold the old ones. 2) I've seen people online assembling the new WM Reissue Devy, so unless there's a QA issue, it should combine properly. 3) MP Hot Rod? I recall hearing there were issues but no clue about him. Sorry as I don't have him. 4) There is a new Megs coming... MP-36 toy version(?). For MP-36 Megs, they shouldn't have the orange plug if they're from overseas. But ordering from a US site -- they would probably have it. Last edited by chaingunsofdoom; 11-08-2018 at 07:56 PM. The best places are the Buy/Sell/Trade area of our own message boards or you can try the TFW2005 boards as well, though be prepared to pay shipping and the exchange rate is brutal. A lot of members sell MPs for more than a fair price. Failing that, try Kijiji as well. The benefits of doing it on Cybertron.ca is that the majority of users here are more than trustworthy enough. I still haven't gotten any reply about if the current issued Walmart Constructicon Set still has the error where there is no slot to put the chest piece for Devastator. Apparently if you bought the dump truck separately they must have used a different mold and it DID have the needed slot. I don't know if the current release fixes this issue. As far as I know, no one has had any problems with this release. The first run had problems with the knees, as did the TRU version that was released. I have the TRU version and never knew about the knee problem when I first bought it. I've not had an issue. You can try the BST threads or places like Taobao or Alibaba to try and get it cheaper, but it's older so it might be tough to find. Genuine, though I think it's a TakaraTomy Mall exclusive, hence the extra cost. If it is sold by a Canadian or American retailer, the odds are good that it will have an orange plug. I ordered my MP36 from Anime Export and there was no plug. Amazon Japan also does not put in the plug. Just cross your fingers that customs doesn't look too closely. Don't preorder MPs in Canada. MP36, which is more than $300, cost me $180 US. Beast Wars Megs is more than $400, but I preordered through Amazon Japan for about $240. Anime Export offers preorders for 30% less than North American retailers, though you have to pay them up front. There is also TFSource and several other places that are much cheaper. As I said, I think Chrome Megs is a TTM exclusive, so discounts will be rarer. Honestly, you're better off buying a KO of this guy to save the money or else wait for a reissue to get him cheaper. Some KOs have more tells than others. MPM Barricade has the numbers on the back of the car that are a dead giveaway. A quick google search of any figure will likely link you to a discussion full of the ways in which you can tell. If it's too good to be true, it's usually a KO. Sometimes, though, you get lucky. My MP Prowl, Japan bought, was probably only about $60 at the time. Check out my answers in blue above. Hope they help! Nothing new at Vic Park TRU. For unreleased new MP releases, I suggest you pre-order from a Japanese website, usually you get 30% off. Also G1 MP-36 Megatron will never be cheap. It was first released at $300, and probably costs more by now (I purchased him at $300 CAD from Toy Spark earlier this year). Last edited by ssjgoku22; 11-08-2018 at 08:22 PM. You should consider mandarake, a used toy store, but usually the stock is in pristine condition and they check for ko. They have several shops all over japan and they ship to Canada (sal small packet). Just be patient and usually stuff comes up quite often. Canada always got the same long missiles/guns all the US versions did. Later series went back to the original length missiles. 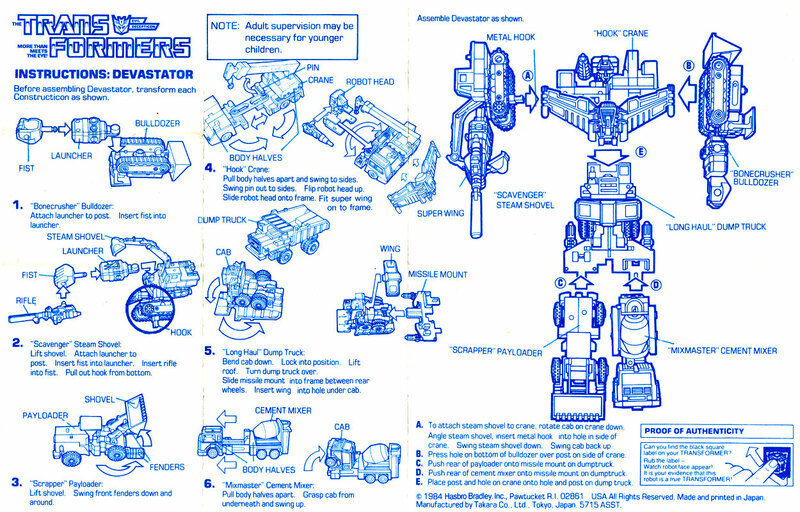 From tfwiki "There are two variations of Long Haul: one with a slotted chest (a hold-over from the first Diaclone variant where the Super Wing chestplate connected to the Dump Truck instead of the Truck Crane), and one without." The Super Wing attaches to Hook's tailpipe rather than into the slot in Long Haul and it was removed from later versions after the 80s. The wing still has the tab but it's about 1/8" away from where the slot would be. I couldn't find why it is so far back. It's been only connected to Hook for all the NA releases. The plug isn't glued in from a lot of the US retailers so it can be removed but they DO have to open the box to install it so no MISB from them if that's what you're keen on. That's not a joke, that's a severe behavioral disorder! Thanks for all the great replies. When you said Starscream went back to the smaller missiles in later series do you mean later releases of the Starscream reissue from Walmart or are you talking about G2 and up? Edit: I'm checking out the different places people suggested I go to get MP items but I am having trouble logging into Amazon Japan. Do I need to make a new account for the Japanese version of their site? If yes, does that mean that my Prime doesn't get applied? Last edited by Darkmatter; 11-08-2018 at 10:16 PM.